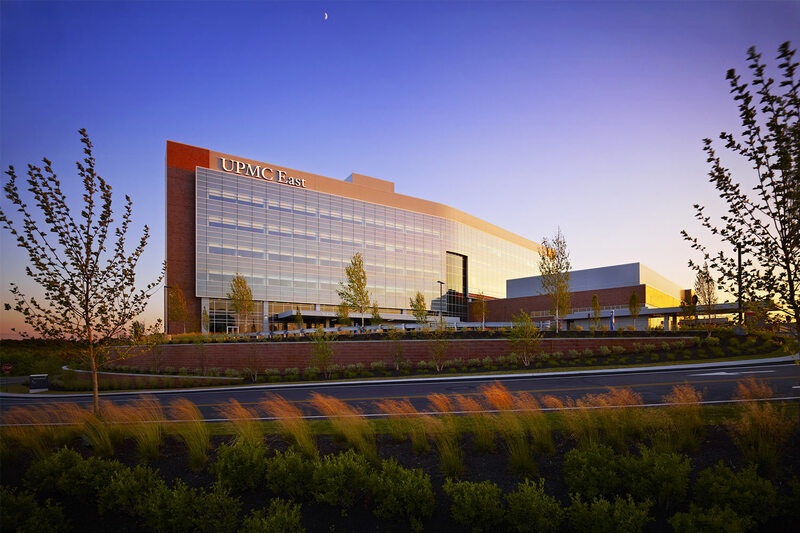 Healthcare provider, UPMC, invents new models of accountable, cost-effective, patient-centered care through innovation. 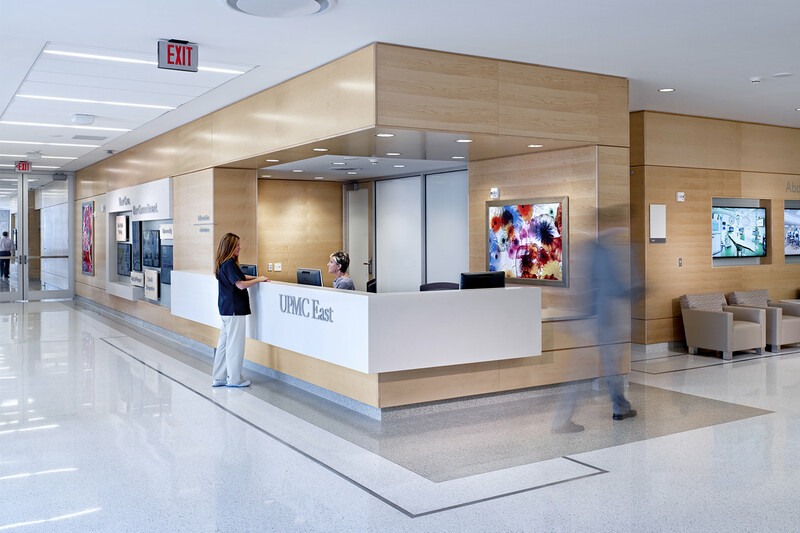 With a chance to build a new hospital from the ground up, UPMC East provides the perfect case study to uncover the effectiveness of strategic care models and research. 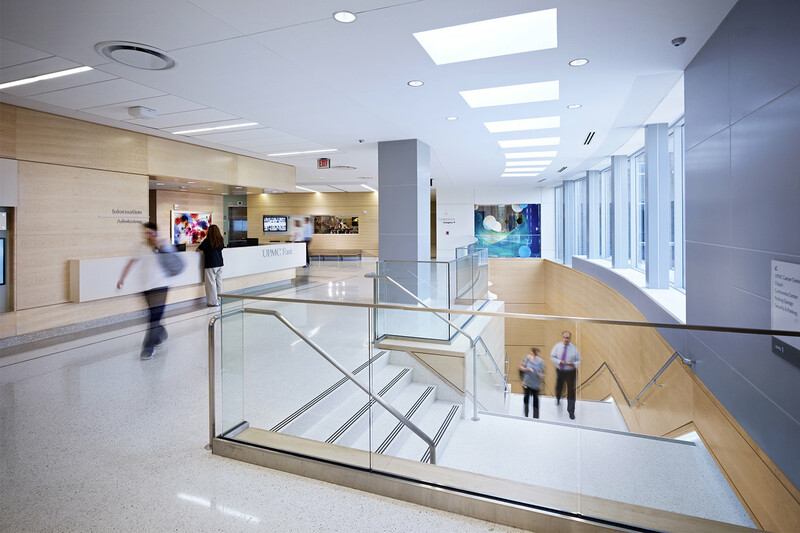 Using a right-sized patient room the health system saved nearly $5 million in capital costs and saves approximately $9 million in operational costs over the life of the building. 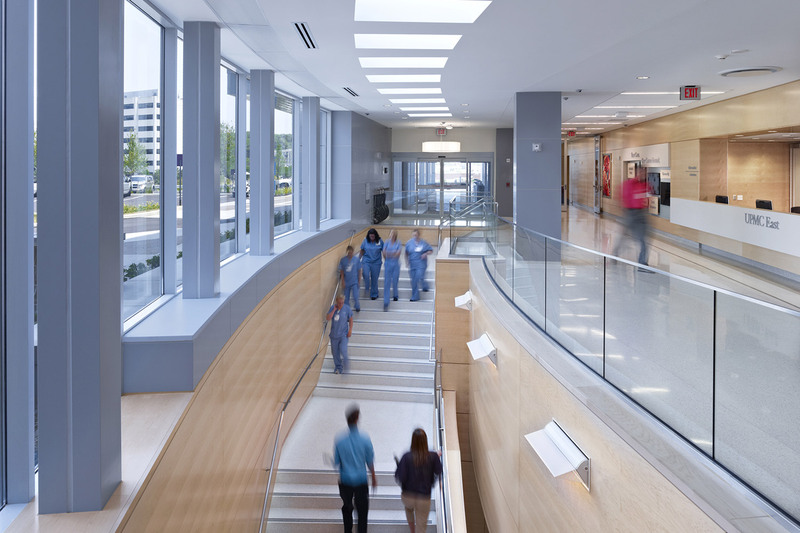 The 304,000 SF, LEED Silver hospital rests on a greyfield site restored using sustainable building practices and provides emergency, surgery, cardiac catheterization, imaging, endoscopy, dining, laboratory, pharmacy, ICU, and medical/surgical services. 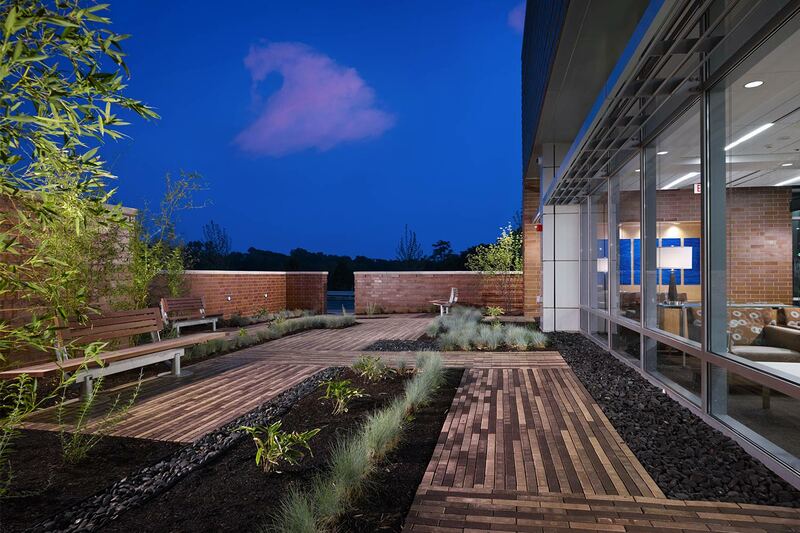 Other features include a helistop, 460-space multi-level parking garage, healing gardens, bust stop, and connecting walkways.